The outstanding craftsmanship we bring to our Exchange range is exactly the same as for our bespoke designs. 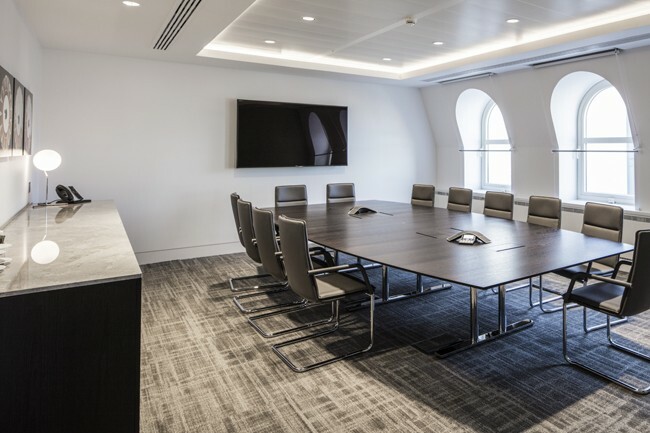 In fact, with the tremendous range of sizes, styles and finishes available as standard, we can tailor to your requirements with precision. Only the price will indicate it’s ‘off-the-peg’. 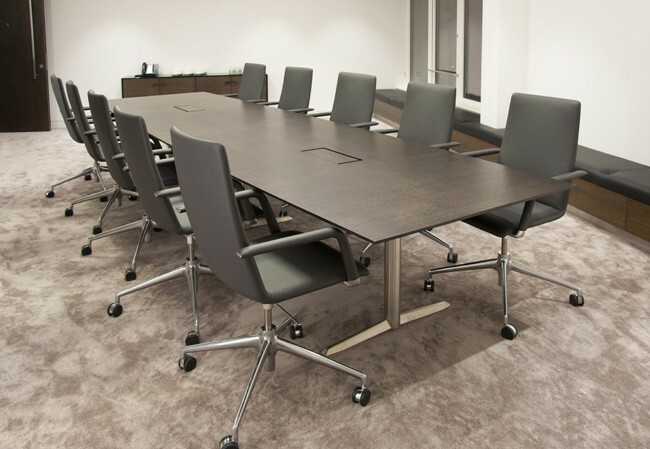 Exchange furniture is attractive, easily linked and looks permanent. Yet our flip tops are simplicity itself to move or store. 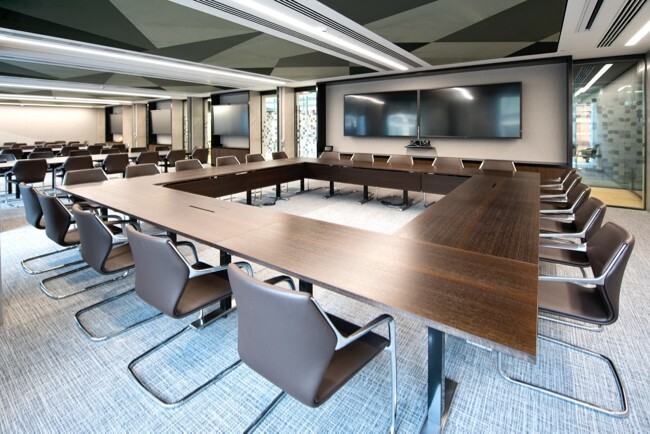 Exchange is the perfect cost effective choice for meeting rooms. Exchange comes with a handsome flat leg plate available in several finishes, with matching clip-on cable ducts. Fixed tables can be rectangular, round or barrel shaped and made to any size. 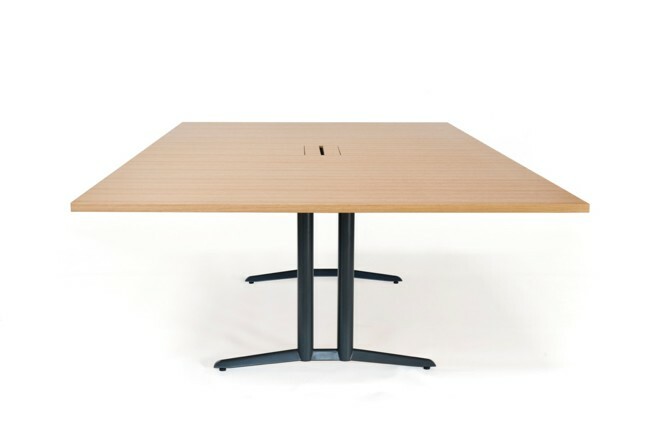 Flip-tops range up to 3000mm in length and an exceptionally wide 1500mm. 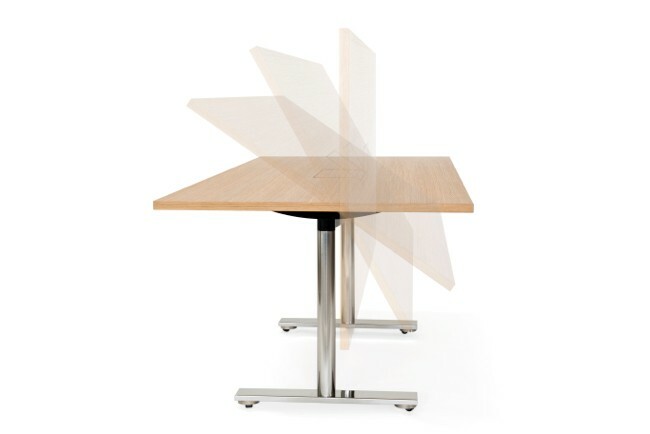 They feature our highly praised, own design, low level castor – smooth gliding and virtually invisible. The extensive range of finishes is listed in our brochure. Or better still, contact us. 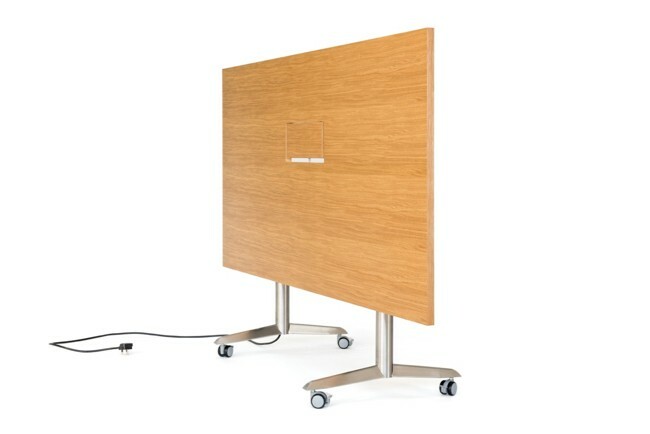 There are also multiple options for cable management and modesty panels. 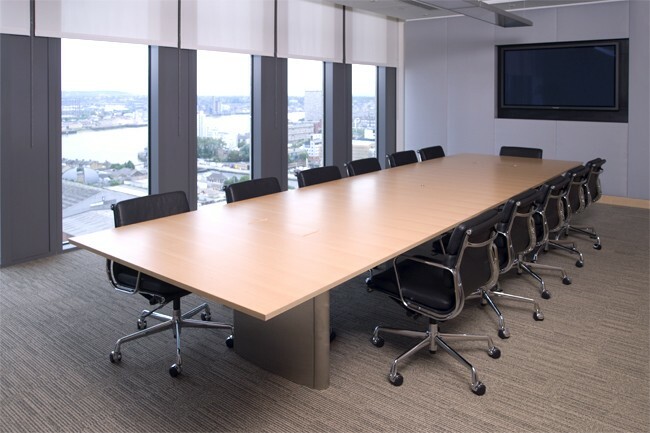 For boardrooms and situations where that little extra is required, Exchange Plus is the ideal choice. It brings all of Opus Magnum’s uncompromising quality to a standard range. 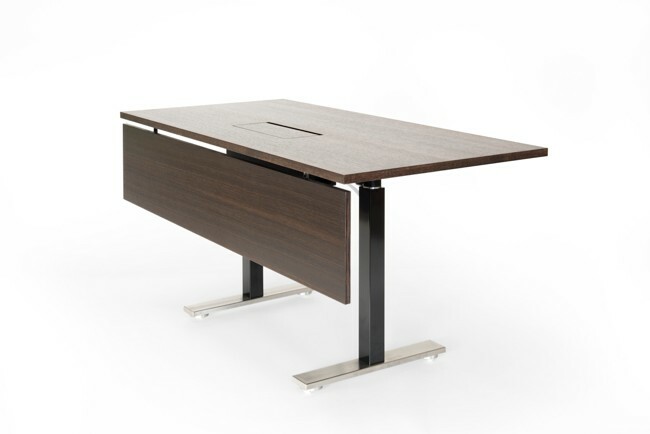 Exchange Plus offers excellent proportions and even better concealed cable management. 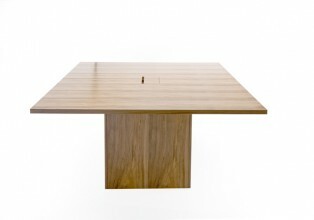 Should the hundreds of combinations of style, size and finish not be exactly right, bespoke options are possible. 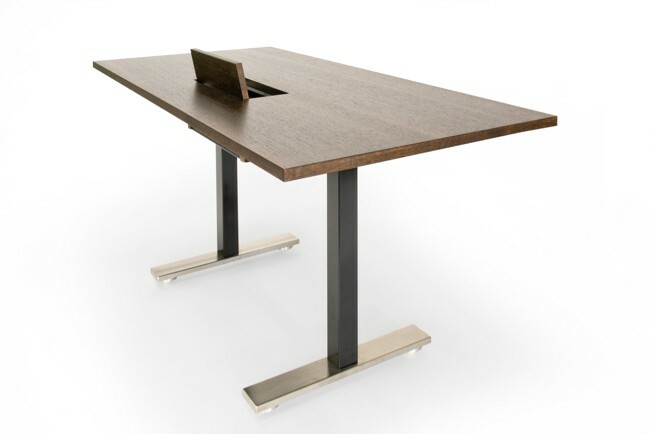 Exchange Plus will add a stylish cachet to any office. For extra flexibility, easy to move flip top versions are available too. Exchange Plus takes our attractive flat leg plates to a new design level. 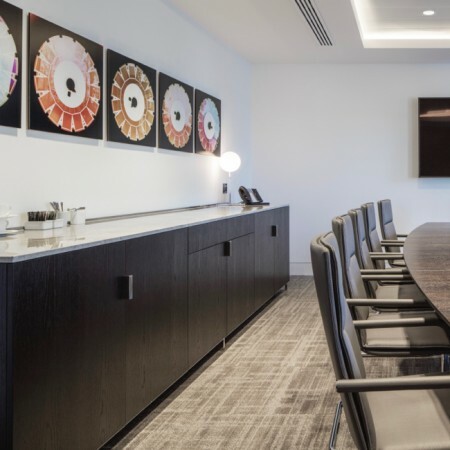 Why not enhance their eye-catching appeal even further by specifying contrasting materials – for example, a satin steel plate supporting a powder coated column. Those columns are rectangular with a removable inside capping for cabling. 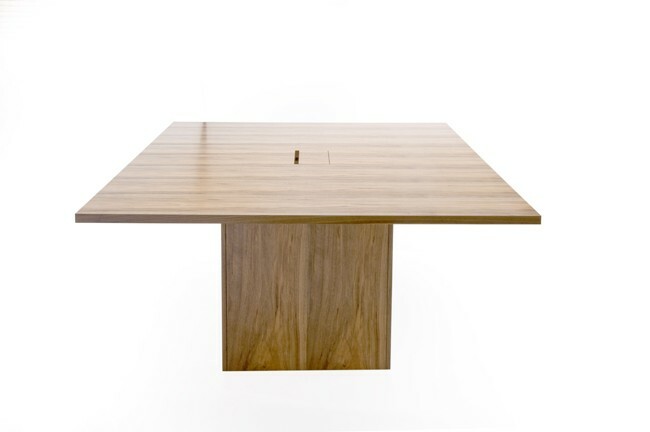 Fixed tables can be any size: rectangular, round or barrel shaped. 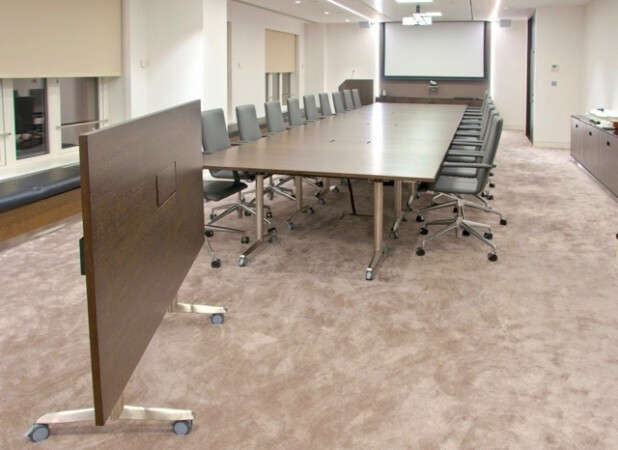 Flip tops range up to an exceptionally wide 1500mm and feature our own design low profile castors, which are barely perceptible but glide with ease. 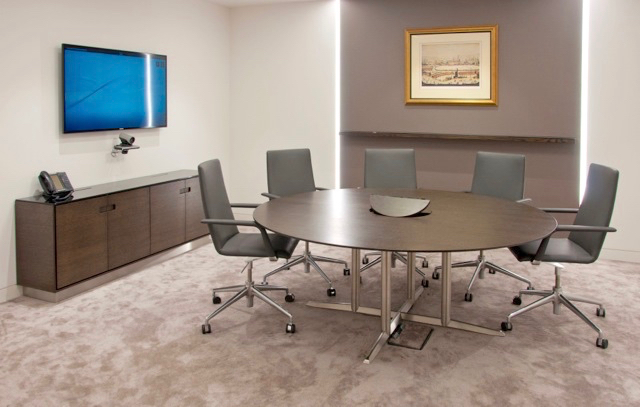 For more information plus options on cable flaps and modesty panels, see our brochure or call the team. 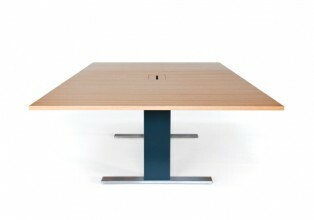 Options for legs include satin, polished or powder coated stainless steel. Cabling via matching clip-on ducts exits close to floor level. 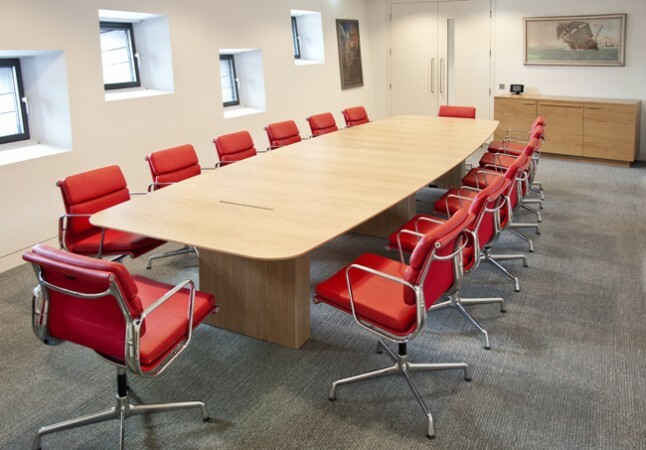 A single or double post option means we can provide fixed tables – rectangular, round or barrel shaped – of any length and up to 2500mm across. Beating most other manufacturers, Kimber flip tops can be up to 1500mm wide. They come with lockable castors. 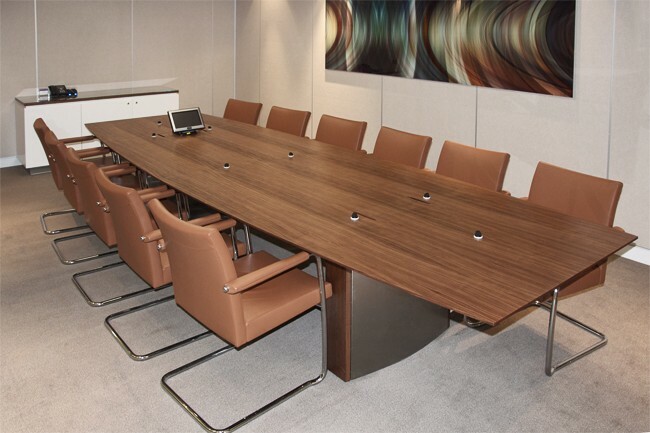 See our brochure for details of the wide choice of veneers, finishes, edging and cable management flaps. 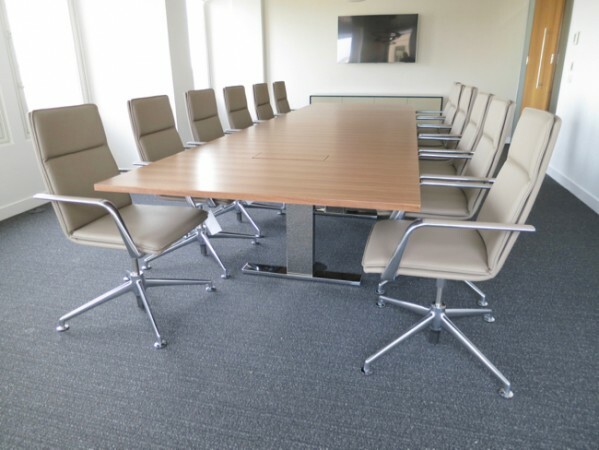 Or you can discuss specific requirements with our design team. 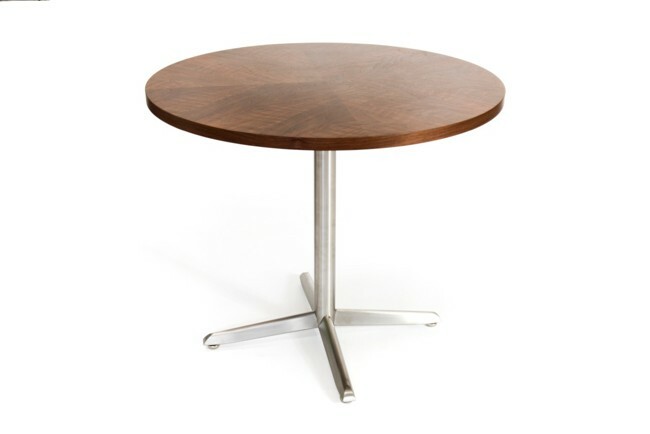 Elegance and impeccable quality come together in our Melrose fixed pedestal tables. 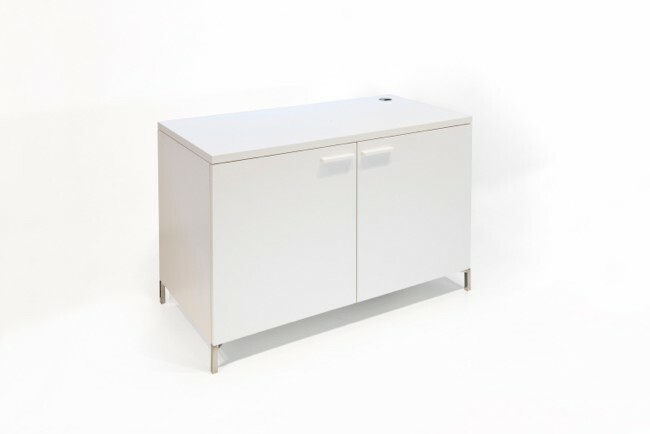 Access doors in the leg mean all cabling can be routed invisibly through flush mounted flaps directly into the floor. Melrose is available in any size. 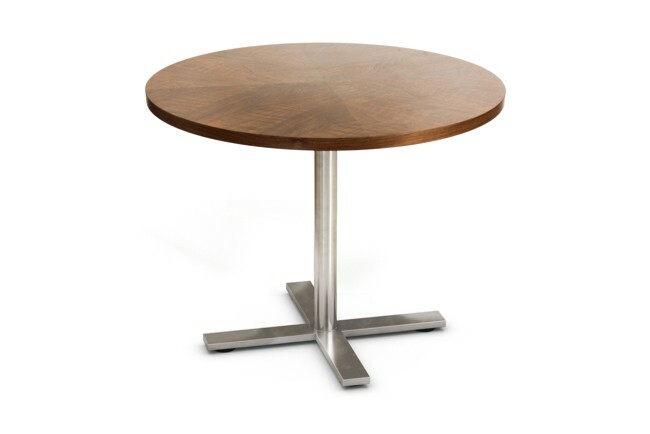 There are dozens of possible variations in style, shape, finish and materials available as standard for table tops and pedestals. Why not combine different materials for pedestal claddings to create stunning effects. The extra robust steel underframe allows pedestals to be well set in, maximising leg room. 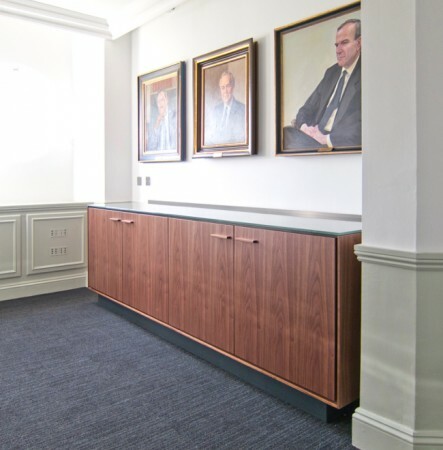 Pedestals can be clad in HPL laminate, timber and steel – satin, polished or powder coated. See examples and details in our brochure. 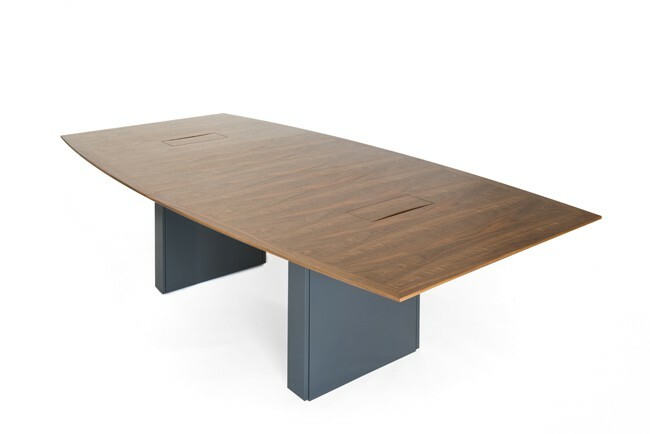 But with so many options for both tops and bases, talking to our designers is the best way to appreciate all the possibilities. Flip-top and circular options are not available in Melrose. 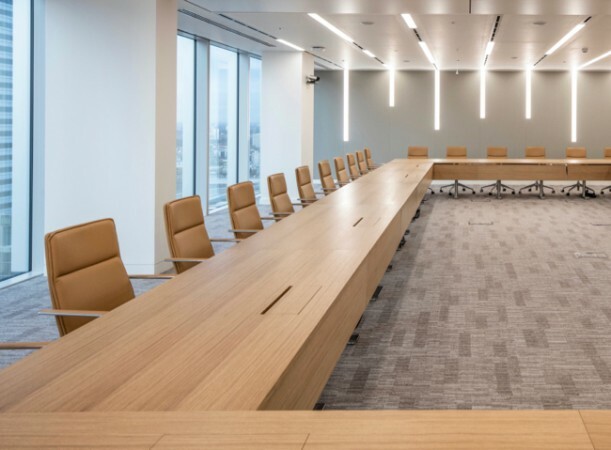 Opus Magnum can also template floor connections and match veneers across entire office projects. Our standard credenza ranges are like people. They come in all shapes, sizes and colours – but are of two basic designs. 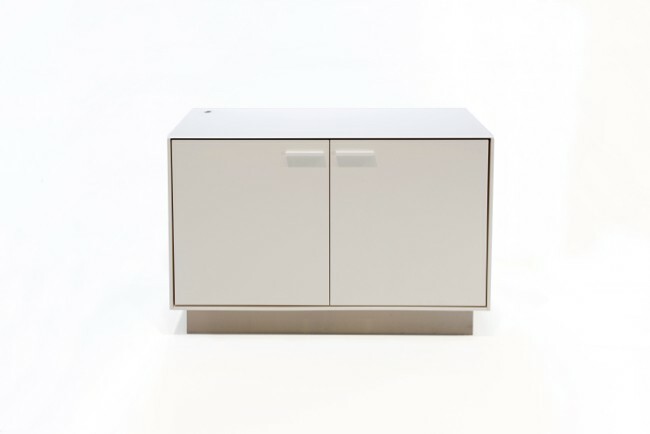 Langton has inset doors which give definition to each surface. 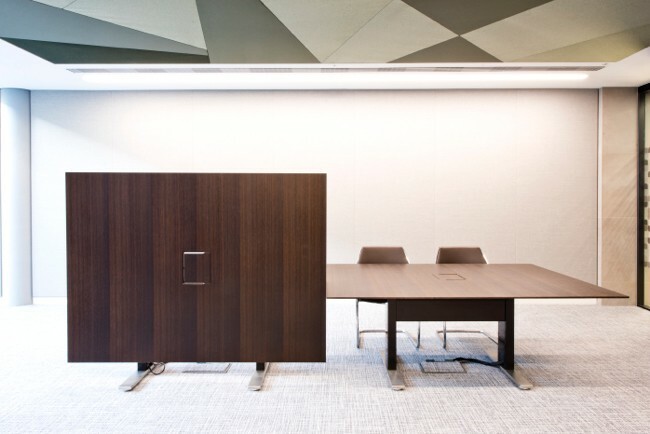 A generous reveal between doors and outer panels creates interest through form and shadow. 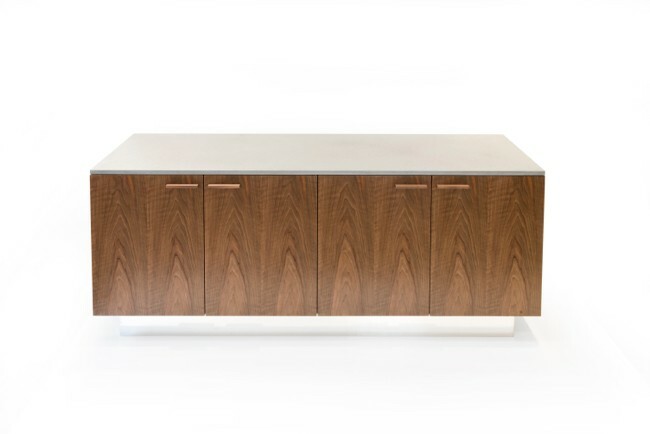 Credenzas hold a central role in our vision. 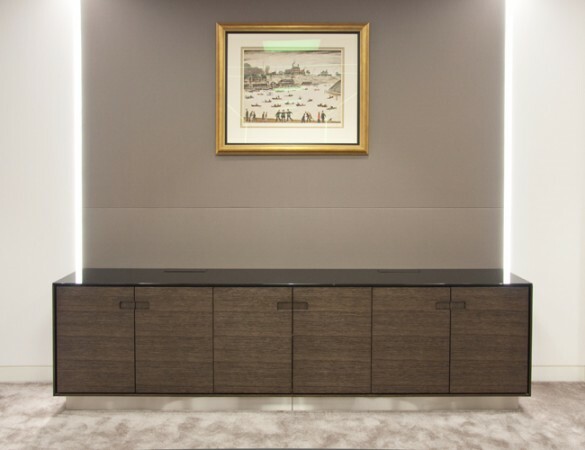 All joinery and materials are crafted to Opus Magnum’s exacting standards. Interiors can be extensively adapted. For example, they can house AV equipment or a fridge – which is a very popular option. 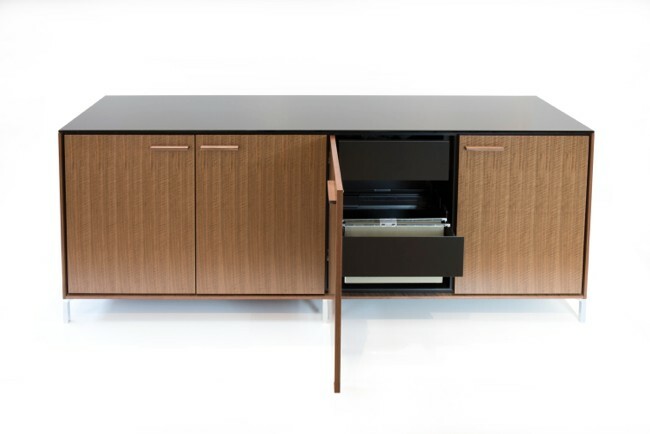 For Opus Magnum, good looking and functional credenzas are as important as our tables. What distinguishes Hanford is the use of overlay doors. 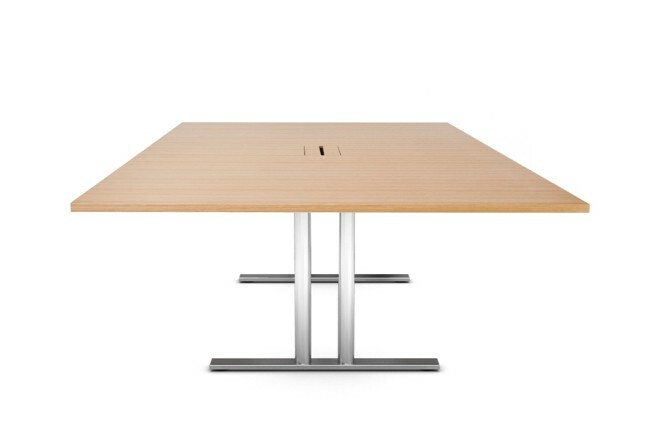 This confers a sleek, streamlined appearance. 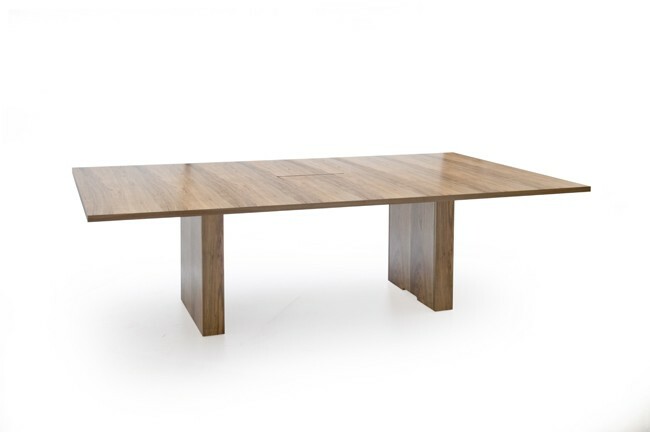 Hanford comes in a huge selection of sizes, materials and colours. 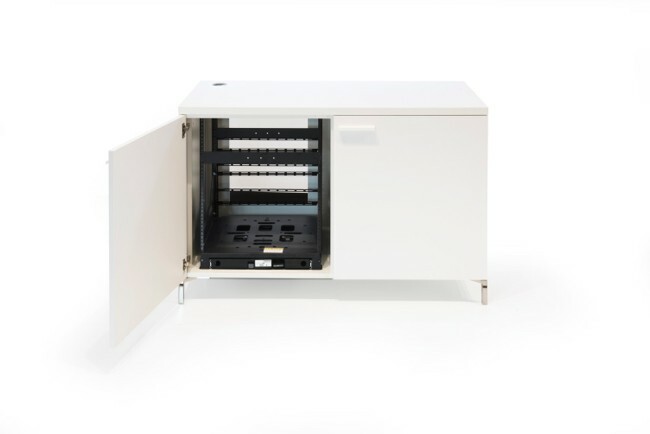 It can be adapted to satisfy any storage requirements, including AV equipment and a fridge. Nothing is sacrificed in the craftsmanship of its construction. Hanford can be supplied to any size but the five standard lengths range up to 2400mm, with depths of 500mm or 600mm. All have removable shelves and can house a 37L integrated fridge. Industry standard Mid Atlantic SRSR 12 @19” AV racks require the 600mm version. 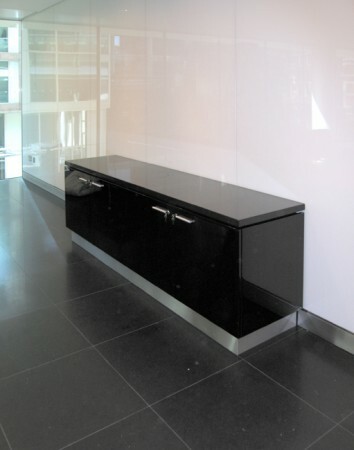 Optional extras for top surfaces include stone, corian and exciting new materials such as micro cement. 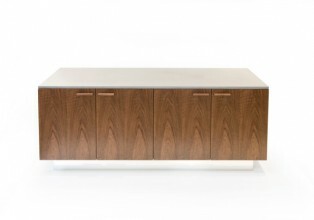 Standard choices are wood veneer or back painted glass. 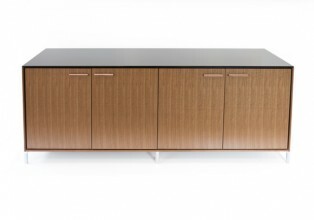 Outer panels and doors can be wood veneer, pigmented lacquer or HPL laminate. 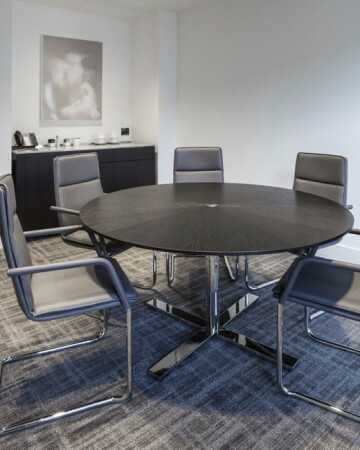 See our brochure or discuss your requirements with our sales team.